End of life care: Should a patient receive nutrition? What about advance directives and resuscitation orders? Abortion: When does life begin? Is it ethical to terminate a pregnancy with a birth defect? Genetic and prenatal testing: What happens if you are a carrier of a defect? What if testing shows that your unborn baby has a defect? Birth control: Should it be available to minors? Is it ethical to harvest embryonic stem cells to treat diseases? Organ donation: Must a relative donate an organ to a sick relative? Your personal health information: who has access to your records? 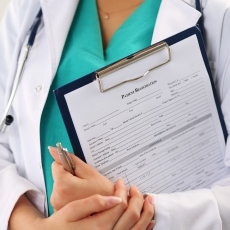 Patient rights: Do you have the right to refuse treatment? When you talk with your doctor, is it ethical for her to withhold information from you or your family? Article: Ethical Challenges With Nonsurgical Medical Aesthetic Devices. Article: The Rise of Pseudomedicine for Dementia and Brain Health.